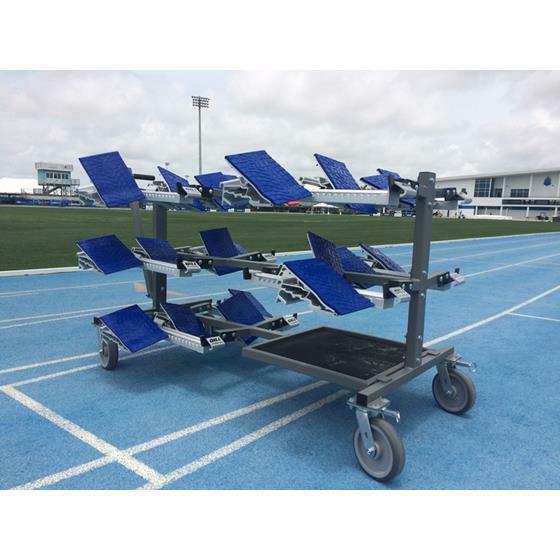 Holds 10 starting blocks horizontally. Cart includes handle to easily transport blocks. Includes a storage shelf for loose pedals and accessories.